A whole list of new job openings are posted here for those looking for work locally, and regionally. Looking for a new job, or a better job. The Texarkana Job experts at Express Employment Professionals are in the business of putting you to work. A Furniture Store in the Hope area is seeking a sign holder for a HUGE BLOW OUT SALE!!! Must be animated and be able to hold a sign while standing on your feet all day. The position is temporary. Thursday 2/14, Friday 2/15, Saturday 2/16 – 10am-5pm, & Monday 2/18 – 10am-4pm. $12.00 per hour. Great way to make extra money! Local apartment complex is looking for an experienced Building Maintenance person that can work at least 32 hours a week for two weeks. Should be able to put up blinds, ceiling fans, vent covers, and paint. Temporary production workers needed for the first shift for a two week project. Will be putting labels on Bottles, lids on bottles, and general production duties. Hours are Monday – Thursday 6am to 4:30pm – Pay is 10.63 per Hour. Will be working with Pharmaceutical chemicals so must have a clean criminal background. Local Company is seeking a maintenance person. Must be able to do building maintenance and pass a test for a water operator’s license. Must be mechanically inclined and be able to work on motors and pumps. Must be willing to do the weed eat and mow the property. Must have clean background, valid driver license, and a High School diploma. Starting pay is $13.00. Atlanta, Texas Production Company needs production workers. Hours are Monday through Thursday, 7am-5pm. Some overtime available. The starting pay is $11.00 per hour. After a 30 day evaluation, pay can increase to $11.22, followed by a 90 day evaluation. Great company! Great benefits! TXK company is seeking a part time warehouse/delivery person. Will be working in the warehouse. Must be able to bend and lift up to 50 lbs and must have a valid drivers license and a clean driving record. Hours are Monday-Friday 8am-12pm. $8.50/hr. Great way to make some extra money!! 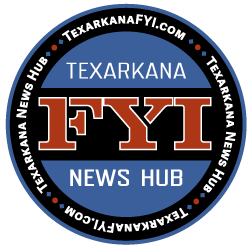 Busy Texarkana medical office has an opening for a evening part time medical receptionist. Duties will include answering phones, taking payments, checking in patients. Hours for this job will be Mon-Fri 4:30pm -7:00 pm and on Sat from 7:45am to Noon Sun 1pm – 5pm. Starting pay for this position is $8.00r DOE. Applicant will be responsible for various warehouse duties, driving box delivery truck, loading and unloading furniture. Driving record will be ran. Must be 21 years of age or older for vehicle insurance purposes. 8am-6pm, days of week vary based on store needs. 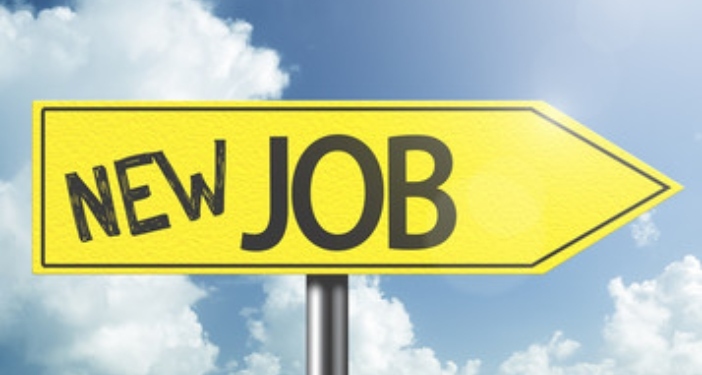 Texarkana Manufacturing and distributing company is seeking a production/warehouse worker. Will be manufacturing, packaging, labeling liquid products, stacking pallets and operating forklift. Previous experience bottling liquids and familiarity with SDS required. Need a valid driver license. M-F, 8a-5p. $12 an hour! Company offers insurance and benefits!!!!! Prepare accurate costs estimates and bids from architectural and engineering plans. • Inspect work progress to insure quality and maintain oversight of field superintendents. • High school diploma or equivalent. A four-year college degree in a related field is preferred. • Experience in managing projects with responsibility for budget, contracts and turn over. • Work closely with others in a fast paced environment. • Be an effective communicator with excellent written and verbal communication skills. We have an immediate opening for a skilled mechanic. We are looking for a candidate that has verifiable experience working on heavy equipment (bulldozers, graders, etc) and also experience working on diesel truck engines. This seems to be a difficult combination to find, so we will consider anyone who has either of those qualifications. They will be based out of our headquarters, but will spend over 50% of their time working on construction sites with minimal supervision. Pay commensurate with experience. We will provide a company vehicle and uniforms. Health insurance is available after 60 days. Vacation earned after 1 year. Busy Texarkana Furniture Store is seeking a customer service rep. This person will be answer phones, writing up tickets, accepting payments, heavy data entry, math skills, customer service, and filing. There will NOT be any sales in this position. This person must have basic computer knowledge and great customer service skills. Position will work at 40 hour work week and will work Mon-Sat 9:30-7:00 with two days off during the week. Starting pay for this position is $9/HR after the probation period pay can go up. Local business is seeking FULL TIME MAINTENANCE workers. This company travels in a 30 mile radius of the Hope, Texarkana, Ashdown, and Arkadelphia areas. Duties include WELDING-tig and stick, concrete work, and Industrial maintenance skills with an emphasis on mechanical ability. Must have valid driver’s license and clean background. Also must be a self-starter. This is an EXCELLENT CAREER MOVE!!!! Hours are 7:00am to 3:00pm or some 12 hours days with starting pay at $14-18/hr. Promote “SCOPE” to our employees, management, and members. government regulations. Maintain detailed documentation regarding collection actions and prepare copies of collection material and collate as needed. Call delinquent account 30-59 days and 60-90 days. Call all Real Estate past due accounts. Prepare and input certain reports for special accounts and for filing miscellaneous forms to member files. Complete repo control card for repossessed vehicles. Assist members when they call in with questions regarding past due accounts. Collect and maintain all overdrawn share and share draft accounts and recommend appropriate accounts for charge-off. Handle bankruptcy cases in-house. Responsible for skip tracing members through credit bureau reports, file references and other possible leads. Communication with repo agencies all accounts that are to be turned over. File small claims on all 60 day and over delinquent accounts. Request and maintain the checks for service of small claims summons. File CUNA skip claims and fax them to the proper entities. Log and file all incoming small claims documents. Collect credit card list and transfer available funds to the credit card. Attend seminars as needed to insure the department is current on all procedures. Complete required annual training and adhere to all Credit Union policies and procedures, including but not limited to BSA, MIP, OFAC, Privacy and Electronic Use. Perform all other related duties as required and assigned. Knowledge of the geography of various counties. Ability to analyze situations quickly and objectively and to determine proper courses of action to be taken. Ability to remain calm in tense or hostile situations. Ability to work without supervision and to make appropriate decisions. Ability to apply logic to define problems, collect data, establish facts, and draw conclusions. Strong computer skills. Strong knowledge and use of Microsoft Office products. Able to interpret instructions and can deal with multiple variables. Ability to read periodicals, journals, manuals, dictionaries, thesauruses, and encyclopedias. Displays a professional appearance, demeanor, and dress. Excellent oral and written communication skills. Solid interpersonal skills. Effective time management and project management abilities. Ability to function and form decisions with moderate supervision. High School Diploma, or GED, required. Minimum of one (2) year customer service experience or collections experience. Knowledge of loan process and procedures preferred. Busy Texarkana office has an immediate opening for a Patient Accounts Representative. Duties will include processing Medicare/Medicaid billing, filing, calling patients to make payment arrangements, customer service and general clerical duties. Experience with Medicare or Medicaid, commercial insurance and Fair Debt Collection Law is helpful. ICD-9 experience is also helpful. Position requires an accurate typing speed of 30+ wpm and proficiency in oral and written communication. Hours are Mon – Fri 8am – 5pm. Starting salary is $10-12/hr DOE. Texarkana Company seeking Full Time Office Manager. Position will work Monday-Friday 7:30-4:30 with the starting pay of $15/HR. This candidate will be working directly with QuickBooks entering in data including estimates, invoices, contracts, job costing, payroll, tax fillings, and sales taxes. Will also be responsible for keeping all licenses and insurances up date. A restaurant in the Texarkana area is seeking SEASONAL Display/ Delivery driving help! Duties include: Taking in deliveries, cashiering, following proper food sanitation and handling procedures, must have the ability to lift or push objects up to 50lbs. Must have a great communication skills, love working with a team with a positive attitude. The Hours are Tuesday 02/12/19 – Friday 02/15/19 with flexibility between 2 shifts. 8am-2pm and 2pm-7pm. $9/HR. Great way to make some extra money!! Express is seeking a full time Accounting Clerk in Nash Texas. Duties will include accounts receivable, accounts payable, data entry, multi-line phone system, job costing, and much more. Company offers employer paid pension, 100% employer paid family health insurance, 1 week of vacation after 1 year, and annual raises. Position will work M-F 8-5 with a starting pay of $11-13/hr DOE. Texarkana Arkansas Company is a strong and vibrant company! They are seeking 20 people for the 2nd shift working in the assembly department. Must have verifiable production experience, able to lift 50lbs and read a tape measure. The hours are Monday – Friday 3:30m to 12:00am and some Saturdays, the pay will start at $12.50 per hour. After a positive 90-day evaluation the pay will go to 15.00 an hour.